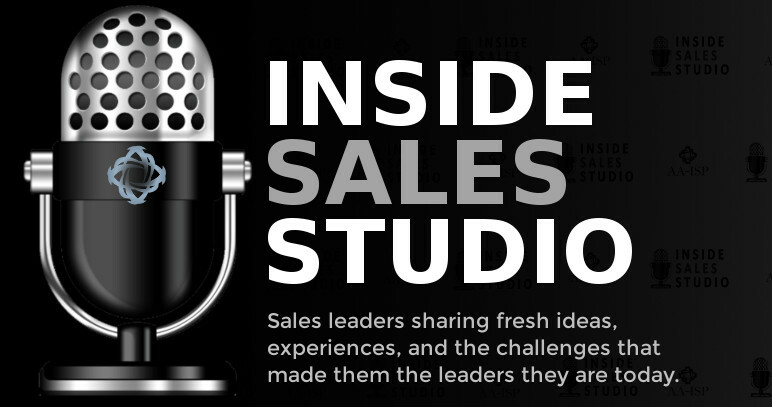 Ken Krogue, Founder and the President of InsideSales.com, shares the hottest research, tips, and best practices to accelerate growth based on an inside sales model. Discussions will include the latest trends, lead generation methodologies and the 27 key principles that make up sales acceleration. 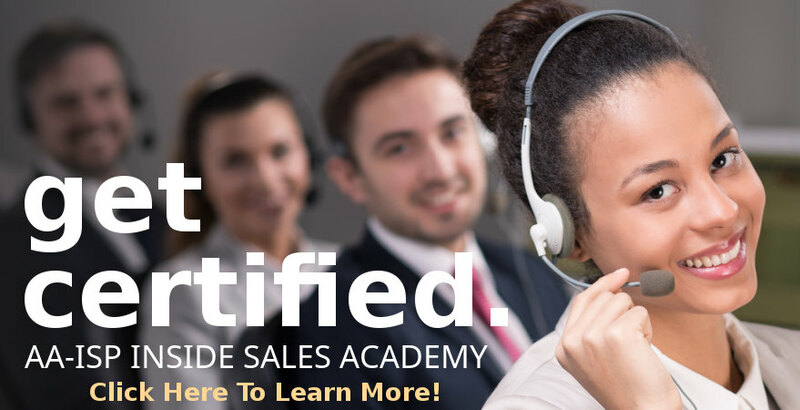 Today’s inside sales organizations are rapidly changing and will continue to face unprecedented competition and challenges to achieve higher levels of effectiveness and increased performance. Join Sharon Prosser, GVP, Oracle Direct - Applications, Oracle as she shares insights and best practices from her experience leading Oracle’s top performing inside sales team. Learn proven strategies that can help transform your organization and drive better results. Steve Richard and Tom Snyder will share the stage to formally announce the merger of their respective firms and to present the overall theme of their talk: “Doing a Good Job of Solving the Wrong Problem Usually Makes Things Worse”. As Managing Partners of VorsightBP Steve and Tom will present data that reveal the underlying reason why so many sales training dollars are wasted. In addition, they will discuss their research into how training investments can be quickly converted to revenue/profit enhancements by doing less, focusing on managers, and concentrating on filling the sales funnel. Working with some of the most progressive inside sales teams to hone and perfect their sales processes and rep productivity, Velocify has identified the key drivers that enable world-class inside sales performance. In this session, you’ll learn of four breakthrough tactics you can immediately deploy to unleash a high-velocity sales engine and boost revenue. There is no question that technology has changed the buyer's process. As a result, the sales conversation has also evolved into a new conversation. Jim Benton, ClearSlide Co-Founder and COO will explore the four key elements of the conversation: data, timing, content and delivery. Jim will also explain how you and your sellers can leverage each element of Sales Engagement to improve interactions with your prospects and ultimately predict success. A new generation of employees is rapidly flooding the workplace - a generation that grew up with high-speed internet, streaming video, social media, and games. Millenials bring a different set of expectations about the workplace, the tools they use, and their relationship to their companies. However, most companies have not adapted well to this new demographic. According to Gallup Management Journal, only 29% of employees are engaged and motivated at work, leading to high turnover and a massive loss of productivity. In this session, learn how forward-thinking sales leaders are using game mechanics, data analytics and broadcast quality video to build and retain high-performance teams. What key traits to best-in-class sales organization have in common? Better yet, how would your team stack up in an inside sales benchmark? In this lively session, Lauren will share a peek behind the curtain at how we benchmark, what we look for, the hallmarks of best-in-class organizations, and the little things that we think make a big difference. 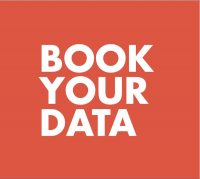 In this session you’ll enjoy the opportunity to take an objective look at your own business and gain the perspective of over 100 inside sales floors from around the World. Social selling leverages your professional brand to fill your pipeline with the right people, insights, and relationships. Research shows that social media engagement is the number one driver of B2B sales rep performance. Increasing your team’s visibility on social networks like LinkedIn will create more opportunities; but this starts with building a professional brand. This session will focus on how your sales team can establish a presence on LinkedIn by sharing relevant content and driving deeper engagement with connections. Plus, find out how your company’s Social Selling Index is calculated - and how your team’s social activity stacks up against your competitors’. 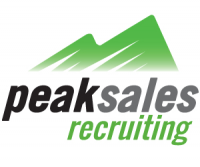 In this session, Chad Burmeister, VP of Sales & Marketing at ConnectAndSell, will share lessons learned that will help in your HIRING, ON-BOARDING, & SALES ACCELERATION strategies. Mr Burmeister, voted 4 years in a row as a Top 25 Inside Sales Professional by the AA-ISP, and Director of AA-ISP Frontline Fridays, will share exactly how he staffed a sales team of 9 Sales Professionals in < 3 weeks, he’ll share how to create an on- boarding program that works, and he’ll share tricks & tips on bringing velocity to your sales organization. 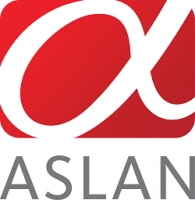 In this session, Tom Stanfill, CEO of Aslan Training, will share insights learned from over 18 years of research about enhancing receptivity over the phone - whether at the very beginning of the sales life cycle or if making the final pitch. You will learn why most approaches fail and a few simple techniques to engaging even the most resistant prospects and ensuring your message lands on fertile ground. Techniques that can be applied to leadership or any situation where influence is required - heck it's even been proven to work on the most unreceptive teenagers. • Am I doing too much? • Am I doing enough? • Am I measuring the correct KPIs? During this session Ted Martin will walk you through ways to answer these questions and give you actionable best practices that you can take back to your teams and implement tomorrow. The way customers buy products and services has fundamentally changed. Cold calls and emails simply don’t work. According to Forrester Research, the average buyer has completed between 68-98% of their decision-making process before engaging a sales professional. To survive, companies need to take a radically different approach to the way they sell. This session will show you how to make the transformation into a modern sales organization. The truth is that sales teams have always been and will always be difficult to manage. Understanding what makes your sales team tick has been on the sales manager's to-do list since cavemen were selling clubs to bison hunters. It's never been an easy task because each team comprises many unique individuals, each with different personal, professional, and educational backgrounds. It's not impossible to get a multigenerational workforce on the same page, but it is difficult, particularly when you consider how many significant events in the last century have dramatically shaped today's three very different generations: the baby boomers, Generation X, and Generation Y. Because they are at different stages in their lives, they have different goals and don't respond to the same types of rewards and recognition. How can sales managers develop retention and engagement strategies that, not only ensure salespeople succeed as individuals, but help Inspire Performance? Learn how managers of successful sales forces have figured out what they need to do to develop a culture of high motivation and performance. Last year Thomson Reuters embarked on a pilot project to explore how social selling could be used effectively across its large sales organization. The company's Inside Sales Leadership Council sponsored the pilot, which included a mix of 50 inside and field sales team members. In just a few months, the pilot began to reveal the value of incorporating social selling practices and tools into sales professionals' everyday workflow. Over six months, the group has closed more than $65,000 in sales and had an additional $100k in the pipeline, all attributed to social selling. In fact, Thomson Reuters saw progress against every KPI for the pilot, including increased leads, shortened sales cycle time, increased web traffic, enhanced influence and thought leadership. The results were so promising that the social selling program is now being introduced globally across all the company's sales organizations. Come and hear how Thomson Reuters continues to expand its use of social selling across the enterprise. The Internet is wreaking massive changes in the culture of the business buyer. Changes in the way they buy products, and changes in how they expect sales professionals to provide products and services. Howard Stevens, Founder and Chairman of Chally Group -- a talent and potential measurement research firm -- and author of The Future of Sales, will present an overview of how the Internet-based technology has changed the inside sales process, and how the cumulative result in all these changes is forcing companies to evolve to a new way of thinking about implementing sales training, defining sales roles and creating compensation plans. - Sales reps will increasingly be expected to become experts in their fields who can act as consultants, help customers to understand their needs and then come up with a plan to fulfill those needs. - Embracing the Internet trend will require massive changes at every level of the sales environment and a new breed of the sales representative will evolve to be smarter, more knowledgeable and more professional and compensation will evolve accordingly. Attendees will receive a FREE copy of the first volume of The Future of Selling book series which was released in early 2014. This volume gives a clear understanding of how all aspects of sales, including compensation, has evolved due to technology. Learn how IBM is transforming in this digital era of client coverage. IBM will share how they use digital and Social Selling technologies to help Inside Sales reach clients more effectively - to drive leads, revenue and build relationships. This real life case study shows IBM has transformed its technologies, processes and sales enablement to help top sellers adopt social selling faster and easier. Lead development is a widely misunderstood issue. Companies are spending big dollars on Marketing Automation and CRM systems thinking they are the magic behind growing bigger pipelines. Many companies are now deploying inside sales teams to help fill in the gaps that still exist between marketing and sales. This session will provide you clear take-a-ways and 5 best practices that will help you achieve pipeline growth through lead development. Topics include account optimization, lead-triage, sales-enablement with integrated content marketing strategies, and moment of interest follow up. Outsourcing rarely works as a low-cost replacement for services that insourced inside sales teams already do well. But it offers compelling value when used to help organizations add geographies, penetrate new markets, validate sales models, scale to meet variable demand, introduce product categories, and otherwise augment established sales processes. This session will outline the range of sales and marketing services that can be outsourced, illustrate successful and unsuccessful outsourcing scenarios, show Inside Sales Professionals what to look for – and avoid – when selecting an outsourcing partner, and describe the critical financial and nonfinancial metrics used to evaluate hybrid insourced /outsourced inside sales programs. In this fast paced session long time LinkedIn and Social Media Expert Mike O’Neil will present the fundamental steps to create and implement an effective B2B Social Media strategy for sales and marketing. Today’s buyers have changed how and when they want to engage with a Sales rep and increasingly it’s occurring later and later in the sales process. In addition, when buyers are ready to engage, 70% of Sales reps are not properly prepared for the conversation. Compounding this problem is the fact that CSOs are continually being asked to do more with less. But ignoring “not ready” leads or prospects generated from Marketing is NOT the answer. The future of sales productivity lies in combining customer analytics with digital engagement which we call Digital Sales Coverage. Are your prospecting efforts driving the results you want? Don’t miss this inspiring presentation focused on prospecting optimization. Explore a critical and often unrecognized gap between marketing and sales. Understanding this space and the impact it could have on your sales in 2014 will forever change your thinking about prospecting. All attendees will receive a free, customized prospecting assessment. Sean Burke, Chief Revenue Officer at KiteDesk, discussed key social selling best practices and strategies used by some of the most successful business professionals in the world. Understanding corporate structure and linkages can be a rich source for identifying new opportunities within your existing accounts. Parent, subsidiary and sister companies are prime targets for cross-sell and up-sell opportunities since you already have a connection to leverage. In addition, existing purchasing agreements and volume discounts are enticing benefits that you may be able to offer other groups, divisions or organizations that you identify through a family tree. Corporate hierarchies often change and can sometimes be difficult to link together. Corporate Affiliations, a division of LexisNexis, has been gathering corporate hierarchy data for over 50 years - giving our customers a clear picture of an organization. Over 1 million global, public and private companies are monitored daily to verify the latest executives, mergers and acquisitions, and competitors. Learn from B2B Telemarketing expert, Angela Garfinkel, about inside sales outsourcing strategies. From full outsourcing to special project outsourcing, Angela will guide you through what to expect, the benefits, the pitfalls to watch for, and how to demonstrate Return on Investment to your leadership team. Each attendee will receive a 7 Step evaluation tool to identify if outsourcing is a viable strategy to augment your insides sales efforts. Join our host, Inside Sales pioneer and Co-Author of the best seller - Sales 2.0, Anneke Seley as she hosts a lively conversation with several of the most senior executives attending the conference. Hear what it’s like to be in their shoes, the challenges they face while leading a global organization and more importantly, how they overcame them. 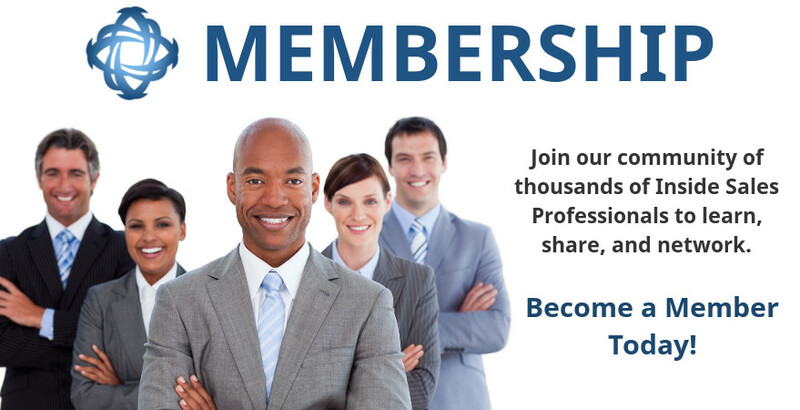 Learn how they measure success and drive improvement within their organizations. Take advantage of the interactive audience Q&A and get your questions answered. If you lead or are involved with a Global team or you are planning to implement one, you won’t want to miss this session. Join in a lively discussion led by long time sales trainer Lauren Bailey as she discusses the nuances of hiring and training in today’s very competitive market place. Joining Lauren will be three subject matter experts who will share their best tips and secrets to help you succeed. 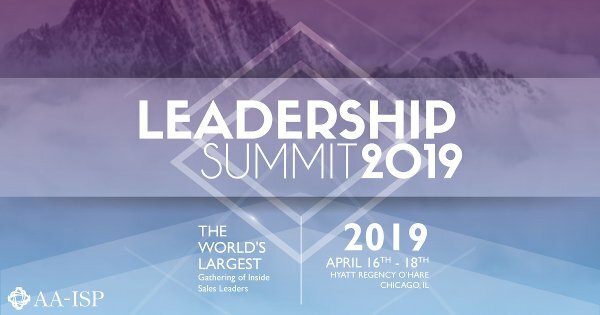 In this fast paced session AA-ISP Founder, Bob Perkins will be joined by four Senior Sales Leaders for an insightful discussion on the impact leadership can make and some of the key challenges we face. Come ready to get your questions answered. Join us for a fast paced conversation with several leading Technology Experts as they discuss the current trends, tools and emerging technologies available to the Inside Sales Community. Our panelists will also share their tips and best practices for developing a successful technology strategy. In today’s sales environment, the connected buyer is self-educating, researching and forming buying decisions before sales professionals can connect on the phone. Join us to learn how SAP is leveraging their social sales program as a way of connecting with the already-connected buyer and building social relationships that drive bottom-line revenue. In a world where your target prospects are inundated with over 300 marketing messages and emails every day, it’s incredibly hard to rise above the noise. While your competition is fighting for attention by increasing the volume and variety of messages, your secret weapon is getting that prospect engaged in your story. Work smarter, not harder and produce incredible results. In this session, Tim Keelan, SAVO’s Director of Sales Engagement, will introduce you to the 4 pillars of virtual sales engagement. Learn how to put your sales content AND prospect in the context of your company story thus making it a personal, engaging experience that lets you sell faster. Get Personal. Sell Faster! Knowing what to measure is only the start. Knowing how to apply what you are measuring to improve performance is a whole different story. Many managers today simply turn up the heat when reps are missing key metrics. Bob Perkins will share lessons learned around bridging the gap between metrics and how to leverage them towards performance improvement. The skills and competency requirements for today’s professional inside sellers continue to be on the rise. High performing leaders need to know what it takes to implement a solid coaching plan for their teams. Learn key best practices and tips which you can put to use with your own teams right away!